Elegant yet energetic, Buenos Aires has it all. The cosmopolitan capital of Argentina offers an eclectic mix of modern and European colonial styles. 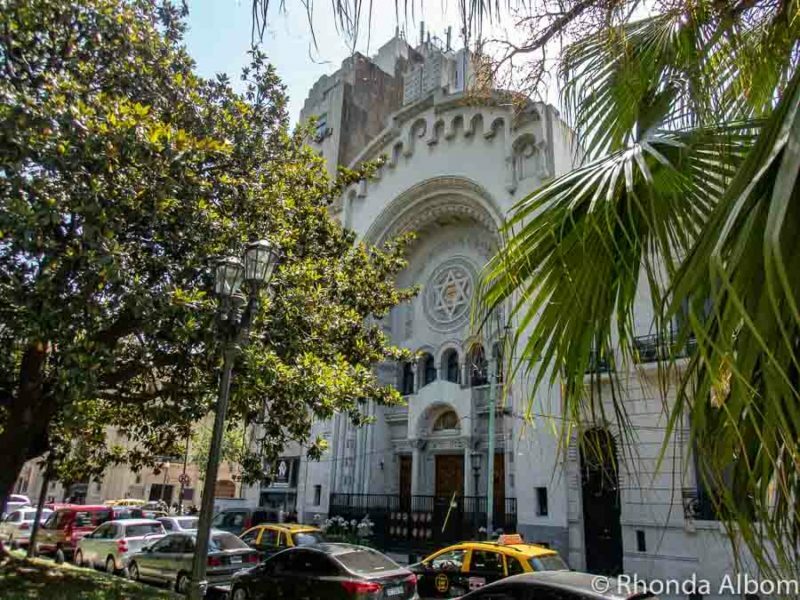 Filled with Argentine traditions, it’s the unique things to do in Buenos Aires that drew me here. A city pulsing to a tango beat, it has a few surprises. 8 Which of these unique things to do in Buenos Aires will you do first? 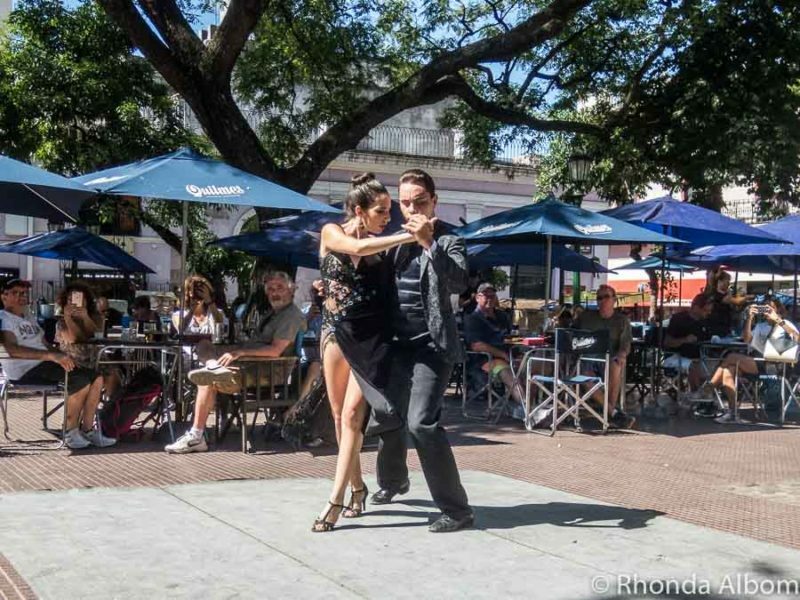 Tango started in Buenos Aires and is deeply ingrained in the culture. 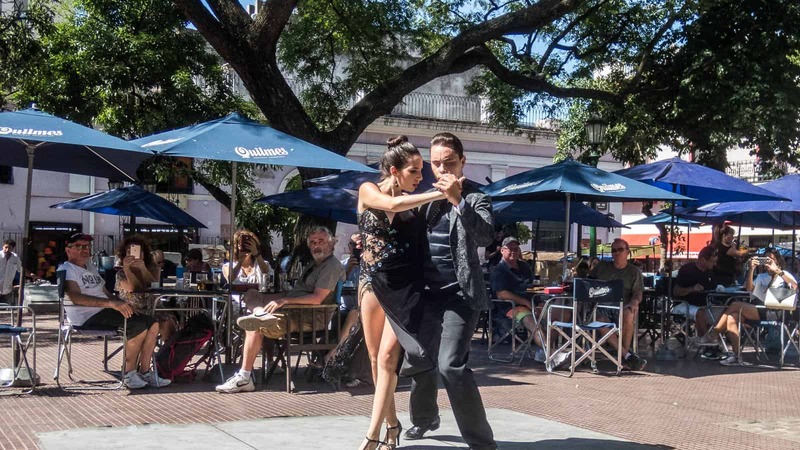 In the San Telmo neighbourhood, tango goes even further, as it is part of their Argentine traditions. It was here that we sipped coffee at an outdoor cafe in Durrego Square on a Saturday afternoon. At the same time, we stared in wonderment as incredibly talented dancers demonstrated their art. Well-earned tips flew from the crowd when the dancers took a break. Soon, a second couple began dancing. Tango is not exclusive to San Telmo. In fact, there are shows and lessons (tanguerias and malongas) in just about every neighbourhood of Buenos Aires. 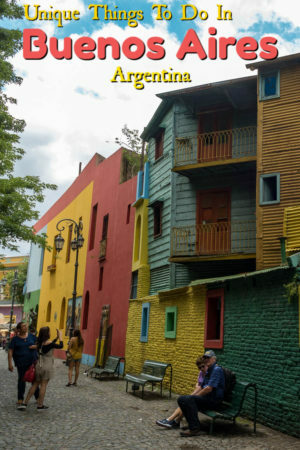 A visit to La Boca’s brightly coloured Caminito is on nearly every list of top things to do in Buenos Aires. This colourful street is an open sky museum in the neighbourhood that held the first port of Buenos Aires. When walking along the Caminito, be sure to notice that the buildings have windows but no doors. When built, this street was the back alley. La Boca is also renowned for its large, caricature-like statues of famous people including Pope Francisco, Diego Maradona (soccer star), and Carlos Gardel (the most prominent figure in the history of tango), as well as being home to the Boca Juniors’ stadium, the most famous stadium in Argentina. 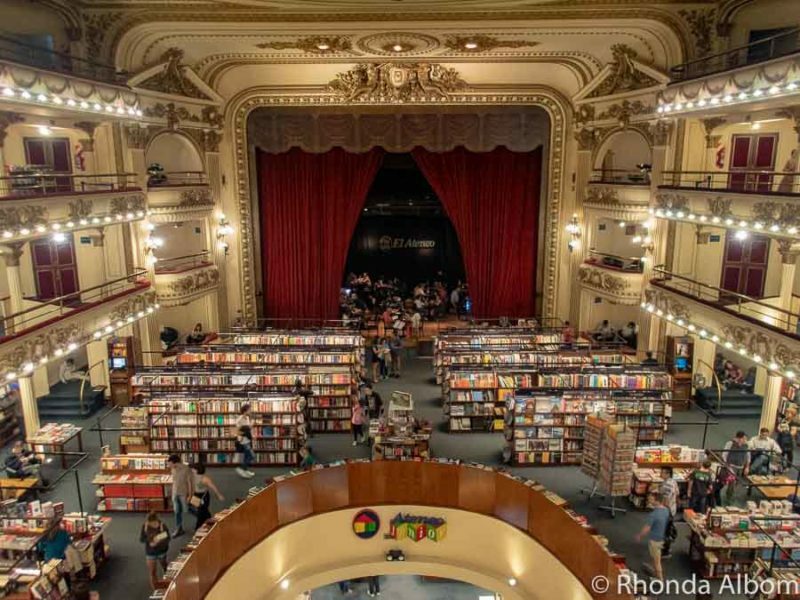 Imagine an elaborately decorated theatre converted to a huge bookstore and you have the El Ateneo Grand Splendid. In January 2019, National Geographic named it as the world’s most beautiful bookstore. Inside El Ateneo Grand Splendid. When I graduated from university, I received flowers. Not so in Buenos Aires. Following Argentine traditions, eggs, flour, old maté, and a host of other wet or smelly items are tossed upon the graduate. And if that’s not enough humiliation, family and friends often make a giant cardboard picture frame to capture the moment. Can you spot the graduate covered in flour, eggs, and some sort of yellow and white cream? This is one of the more unusual Argentine traditions. 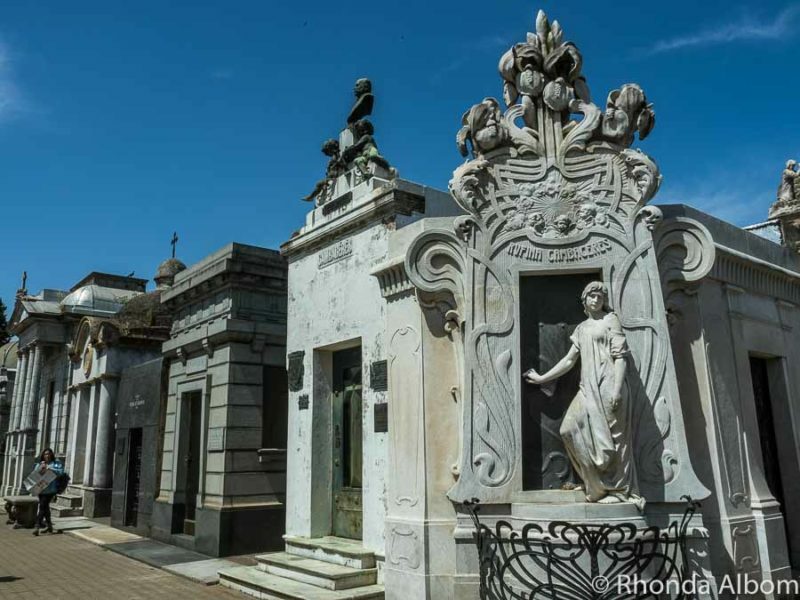 A walk through the cemetery is one of the iconic things to do in Recoleta. It is the final resting place of generals, presidents, and former first lady Eva Perón. With over 90 vaults, the Recoleta cemetery is filled with history, legends, and ghost stories. We were lucky to tour EcoParque before it opened to the public. It’s an interesting concept that converts the former Buenos Aires Zoo to an interactive, educational, eco-friendly park. With many animals roaming free, I am sure that once open to the public, a visit here will be one of the more unique things to do in Buenos Aires. The Buenos Aires Zoo originally opened in 1888. When it closed in 2016, many animals were relocated to natural reserves and sanctuaries. The animals that remain were slowly given a new home. While we were surprised to see mara wandering free, we were saddened to see the small spaces allocated to the monkeys, elephants, and other animals. We hope that by the time EcoParque opens these areas will be significantly improved. Entry will be limited to 2,000 visitors per day and a visit here will be one of the free things to do in Buenos Aires. This five-second video shows you just how close we were to the animals. Pavarotti once stated that the Colón Theatre has such perfect acoustics that the audience knows immediately if he makes a mistake. 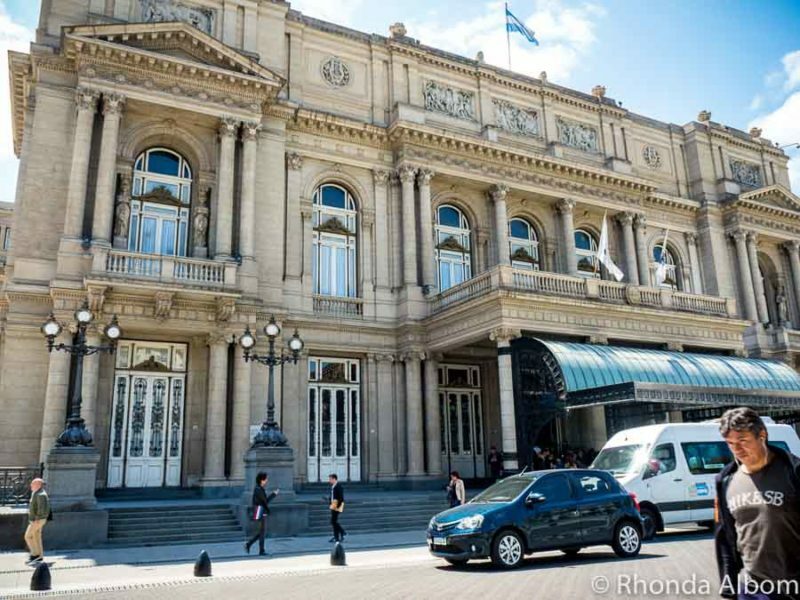 Today, Teatro Colón is world-renowned for its mix of architectural styles and sound quality. 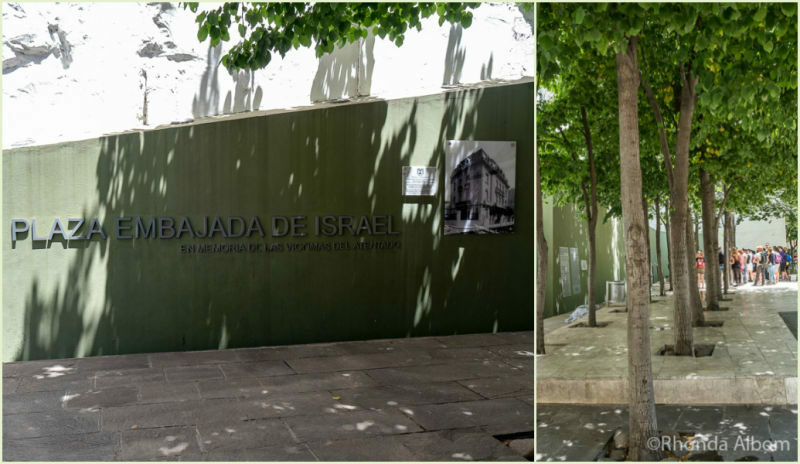 Spend a few moments at Plaza Embajada de Israel to honour those who died in the 1992 suicide bombing attack on the Israeli Embassy in Buenos Aires. The memorial plaza sits on the site where the building stood and includes twenty-one trees and seven benches in memory of the victims. The Plaza Embajada de Israel. Sometimes listening to the stories is one of the most unique things to do in Buenos Aires, and this is a good one: a revenge story between two prominent women. First, there is Mercedes Castellanos de Anchorena. Mercedes lived in Palacio San Martín with her three sons. Well to do, she had the Basilica del Santisimo Sacramento built to be seen from her residence. Another woman, Corina Kavanagh planned for her daughter to marry one of Mercedes’ sons; however, Mercedes rejected the idea. To get revenge, Corina built the Kavanagh Building, (the tallest building in South America at its completion) to block the palace’s view of the Basilica. Top: Basilica del Santisimo Sacramento – you can see the base of the Kavanaugh Building just behind the giant egg. Bottom: Kavanaugh Building and a memorial to those who lost their lives in the Malvinas (Falklands) Wars in the foreground. Former home to the current Pope, the Catedral Metropolitana de Buenos Aires is the headquarter of the Catholic Church of Argentina. In a side room, there is the guarded mausoleum of General José of San Martín. Metropolitan Cathedral of Buenos Aires. 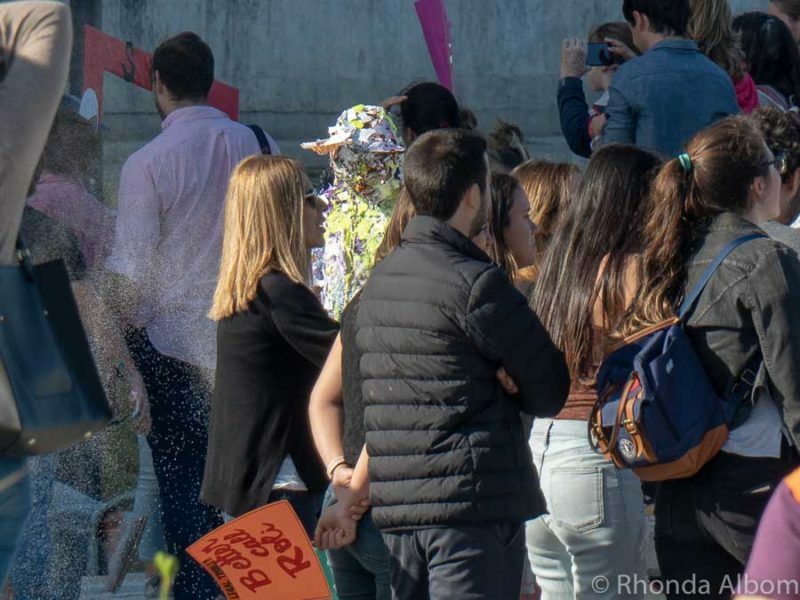 One of the best ways to discover the unique things to do in Buenos Aires is with a walking tour. We took several tours in the city. First, we toured with Buenos Aires Free Tours. Their popularity is also their downfall as there were over 50 people on our walking tour with only one guide. Not a good ratio. However, we had an outstanding private tour of the Recoleta Cemetery and another fantastic small group tour of La Boca through Travel Buenos Aires (tourism board). As a street art fan, we also took a dedicated street art tour with Graffitimundo. There are two giant portraits of Eva Perón, one on each side of Argentina’s social development ministry building. She was the beloved wife of former president Juan Perón. One of two giant portraits of Eva Perón. Life-sized statues of some of Argentina’s favourite comics are on display. It’s a short walk starting not too far from Durrego Square in San Telmo, and is one of the best things to do in Buenos Aires with kids. The tourism board provides a list of all the characters. 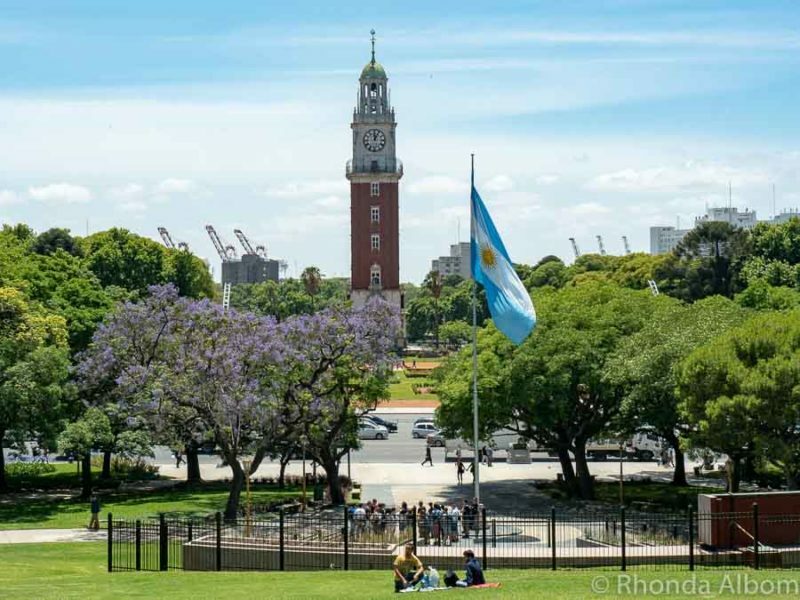 Who better than “Atlas of Recoleta” to hold up the longest tree in Buenos Aires? The gomero (rubber tree) was planted in 1781. 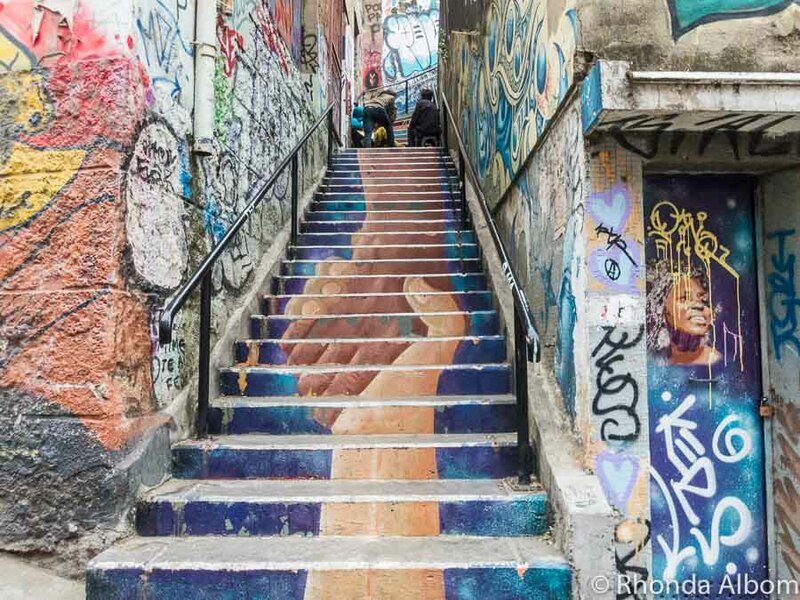 Best known for culinary pleasures, street art fans will want to walk down the colourful alleyways of Palermo Soho. Most modern art museums confuse me, but this one went a step further, leaving me dumbfounded. If you prefer the classics, then don’t miss Belle Arts, one of the best museums in Buenos Aires. This giant flower sculpture (over 20 metres in height) opens every morning and closes in the evening. Bottom Row: Museum of Modern Art; Floralis Genérica. The obelisk stands proudly on the spot where the first national flag was hoisted in the city. It commemorates 400 years of the first foundation of Buenos Aires. 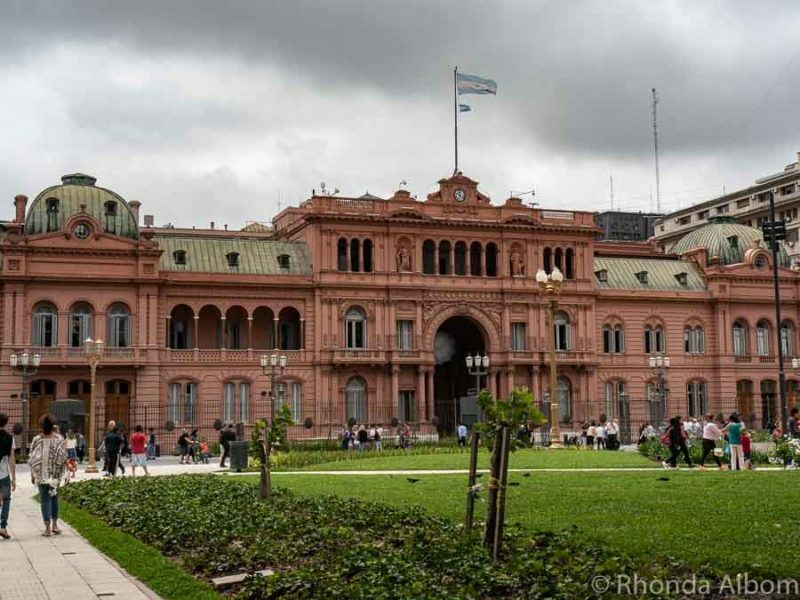 Casa Rosada, called the Pink House by locals, is the current presidential palace. When built in 1580, it was the first fort of Buenos Aires. Free guided tours are available in English on the weekends but require advance booking. At Plaza de Mayo you will also find the Cabildo (original government building), the Metropolitan Cathedral (see above), and the City Hall. And, if you had visited prior to the May Revolution in 1810, you might have also seen a bullfight. Freedom Temple, Israelite Congregation of Argentina. Montevideo Uruguay: The same architect designed both the Salvo Palace in Montevideo and the Barolo Palace in Buenos Aires. Interestingly, both buildings claim to have been the tallest in South America until the Kavanaugh building was built. Colonia del Sacramento: If you have an extra day, take a ferry across the Río de la Plata to one of the oldest cities in Uruguay. We found it easy to explore the city on our own. Estancia: Get out of the city and see how the Argentinean cowboys (gauchos) live and work with an estancia tour. 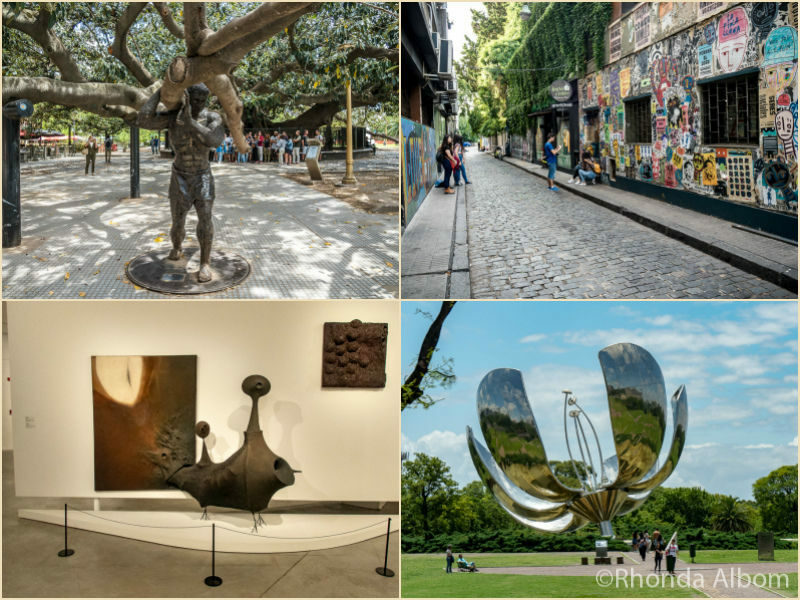 We stayed at Sileo Hotel in the Recoleta neighbourhood and liked it so much we booked it again for our second visit to the city, rather than trying somewhere new. It seamlessly blends boutique with luxury. We enjoyed the incredible view from our terrace suite balcony, the plush comfort of our bed, and the friendliness of the hotel staff. Our room and our view overlooking the Recoleta cemetery at Sileo Hotel. If you take taxis, use metered taxis. The ATMs charge high transaction fees. Several restaurants in trendy areas add a “service fee” for use of the table, the cutlery, etc. Some neighbourhoods are generally safer than others. Know where you are going, and what, if any extra precautions you should take. Maps.me seems more accurate than Google Maps in Argentina (and Chile) and it offers downloadable maps that work offline. Buenos Aires is a popular cruise port, however, the cruise terminal is not in the best area of town. If you are cruising in or out of Buenos Aires, it’s best not to walk into town, but rather to take a taxi if you don’t have a tour booked. 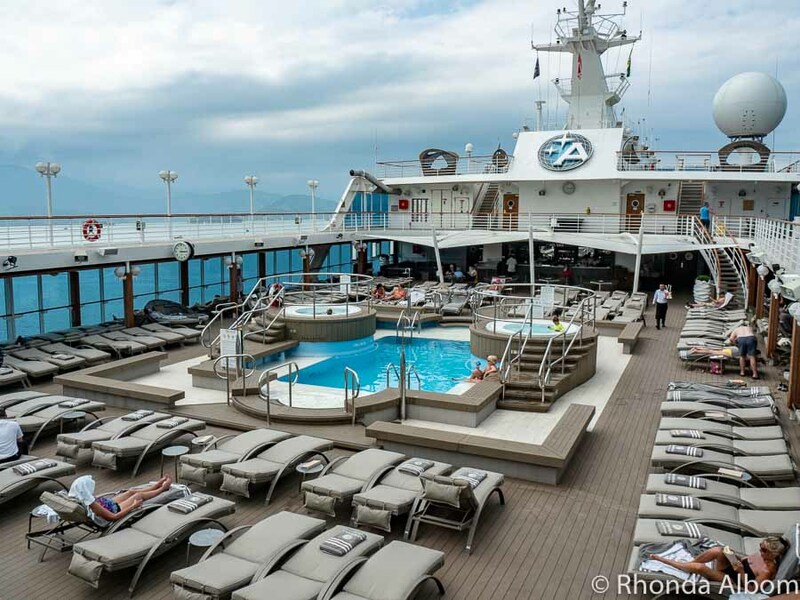 We sailed in and out of Buenos Aires with no problems. Which of these unique things to do in Buenos Aires will you do first? Disclaimer: While in Buenos Aires, we worked alongside Travel Buenos Aires, the government-sponsored tourism board. However, the opinions expressed here are strictly our own. This is so exciting!! I stayed in Buenos Aires for a while and honestly haven’t done a lot from this list!! Not sure about trying tango but I’ll definitely spend hours in that grand bookstore! Tango is so embedded in this city’s culture! How nice that you made a little movie of the street dancers. 12 years ago (or more) when we went to Buenos Aires, there were no camera phones, so we only took pictures. Your post took me back to Buenos Aires and reminded me why I loved this city so much. I’m ready to go again. I definitely wouldn’t mind getting lost in the streets of La Boca! And that bookstore too! I’d recently just seen a photo of it on Instagram and can totally see why it would be the world’s most beautiful bookstore. Love all your recommendations and I can’t wait to visit Argentina someday! 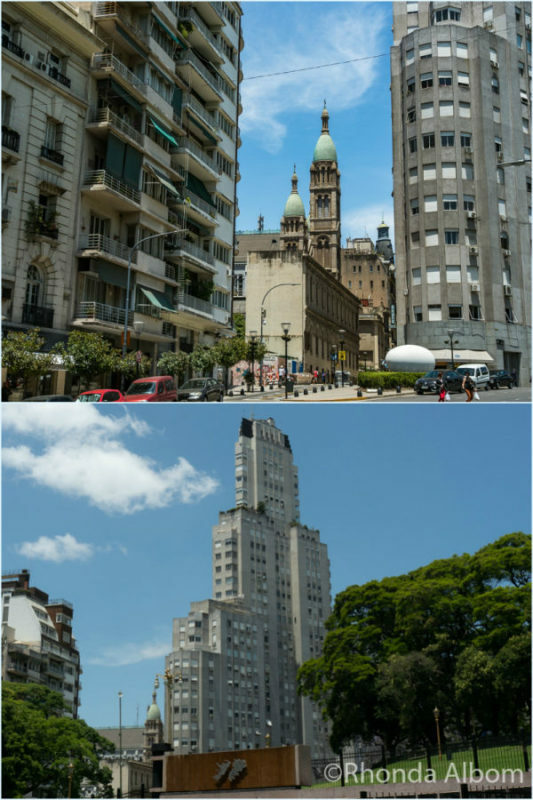 I’d absolutely love to visit Buenos Aires, it’sbeen on my wishlist for a really long time! Thank you for this post! I’d love to visit. I didn’t realize the tango was started there. This is a great guide. I’ll have to bookmark. I loved every suggestion from the tango to beautiful architecture to that glorious bookstore! 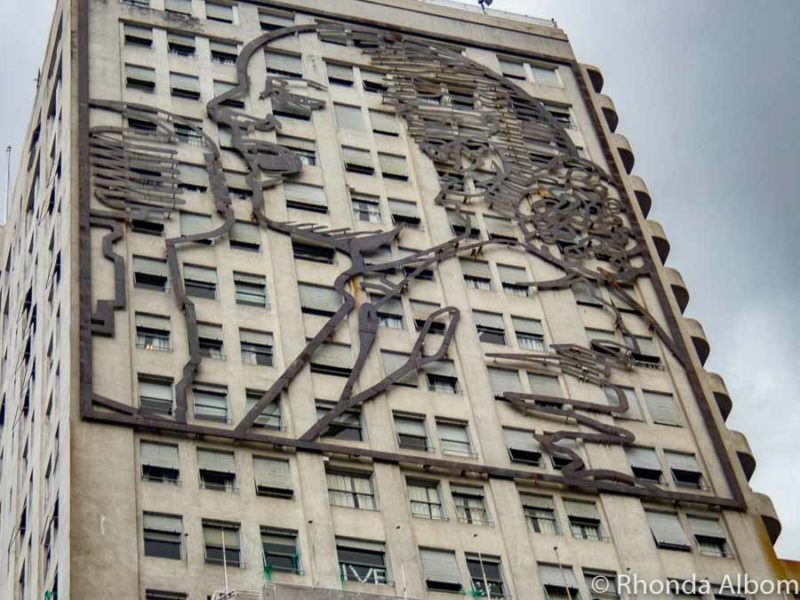 From tango to all the murals and sculptures I love how art is woven throughout every fiber of Buenos Aires. I’m also in love with all the Beaux Arts architecture! Looks like a colorful and vibrant city – great shots! Incredible coverage. It looks like a ton of things to do and see in this vibrant city. 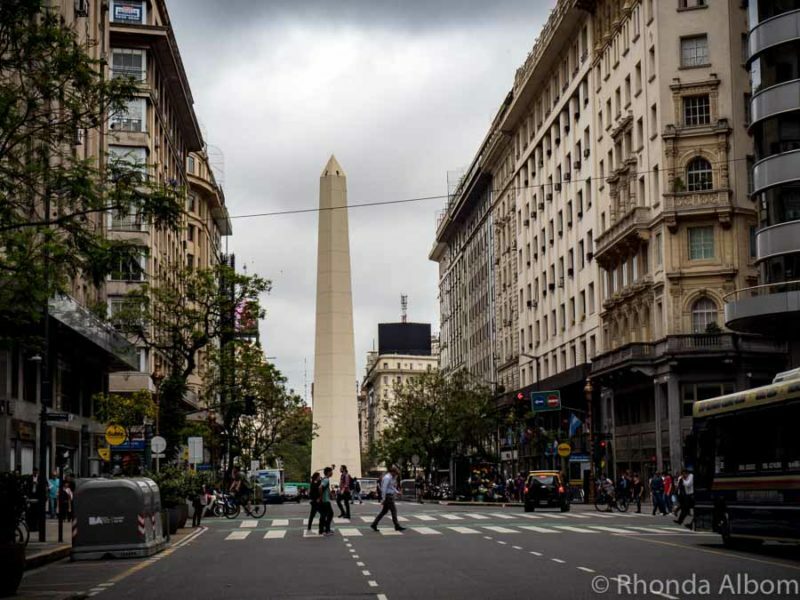 So many interesting things to do in Buenos Aires. I would love to watch someone who knows what they are doing dancing the Tango. What a great treat that would be. The architecture is really lovely, so visiting all the beautiful buildings, especially the library, would be on my list for sure. What a great description of all the really non touristy things to see. I would love to take a trip that included Buenos Aires, then continued south to Patagonia. Thanks for the photos and information. I will file it away! I am well traveled and yet have only seen a fraction of the world – Argentina would be a massive delight for me. I can’t wait to get there sometime! The tango dancers would be a must. As would the big sculpture that opens and closes. So much to do!! I would love to watch the tango dancers. No way could I do that! Those colorful buildings of La Boca would be fun to see, too. Taking a bike ride in La Boca seems like a lot of fun. I am a big fan of urban bike tours, especially if they are food/bike/beer tours. Hearing about the the graduation ceremony makes me not feel bad for missing all of my graduations. I am on the cusp of my 30th high school reunion and I realized I never went to a single of my graduations. I’ve got close friends from Buenos Aires, but haven’t ever been there, so it’s nice to see all there is to see and do there. Although I’m not sure about the eggs, flour, flower treatment… think I might not want to get too close to that tradition. Yikes! I have heard a lot of good things in Buenos Aires Argentina. Such a beautiful place to visit and that is on my bucket lists now. This looks like a comprehensive list of things to do in Buenos Aires. I look forward to going there–and referring back to this piece! Buenos Aires is one of the liveliest cities I have ever been to. I wish I had more time because I didn’t even cover half of the stuff that you did! As old as those houses look I still like the colour of them, at least they stand out. I am saving these posts for our visit to South America next year. I would love to tango in the square. But hubby has two left feet. So I would be looking for another partner. 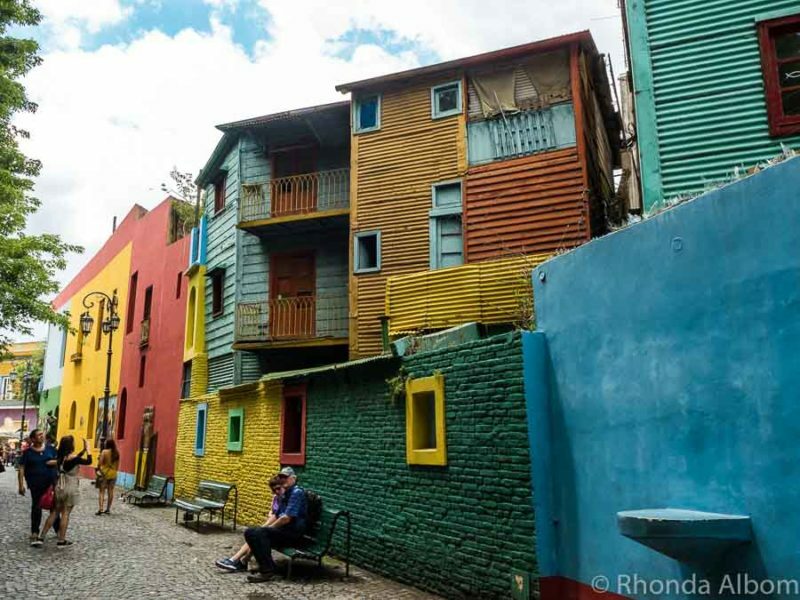 A walk through the La Boca neighborhood sounds like it must be on the list of things to do. We do love to visit cemeteries. So we will keep Recoleta Cemetery on our list. I will definitely take your advice and book a private walking tour. A 50 person tour does not sound fun. I do love the street art you found. Loved Buenos Aires but missed visiting a number of these. 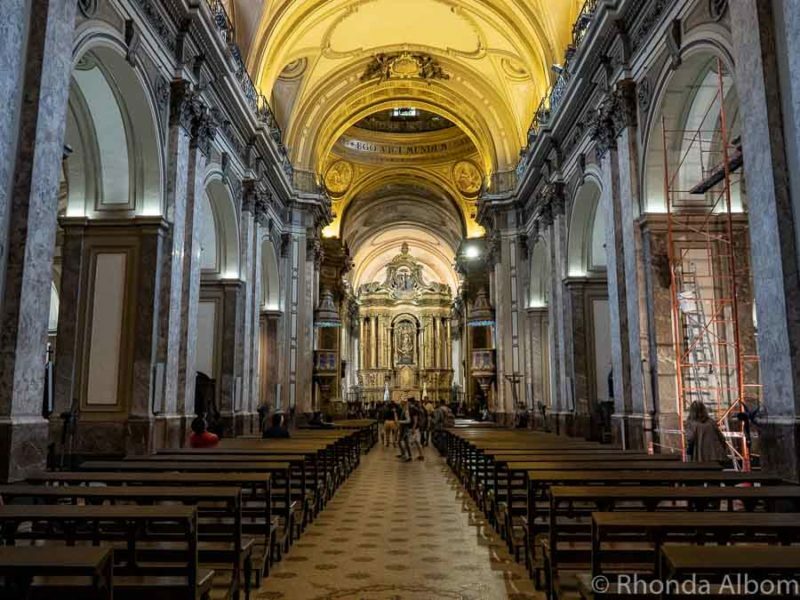 My favourite things to do we’re the walking tour & the Recoleta Cemetery – so eerie but so fascinating! Clearly I need to go back & finish off my to do list! Thanks for sharing. I had a pen pal from Buenos Aires when I was in elementary school. It has remained the number one place I want to visit in South America since then. I’m going to have to make that happen! Love the tango video – that’s some footwork. Eew! I have never seen anyone celebrating graduation ceremony this way! 🙈😀 The place looks so gorgeous, would love to visit there someday! David and I love Buenos Aries. We have been drawn back there again and again over the past decade. The city has an atmosphere which is so unique and compelling. I can feel another trip coming on. We have often said that if it wasn’t so far we would pop across for afternoon tea every Sunday. I’ve never been there before, but it looks like an awesome place to visit! I would love to check it out someday. Buenos Aires is high on my bucket list; I can’t wait to visit one day! There is so much beauty to appreciate. Buenos Aires looks gorgeous! There is so much to soak in just looking at your photos; can’t wait to visit one day! Absolutely love the idea of the tango in one of the public squares! How cool would that be to see! I’ve written about that wonderful bookshop too. I’d love to see the colourful street too. It looks marvelous. I love the Tango. It’s a lot harder to do than it looks. 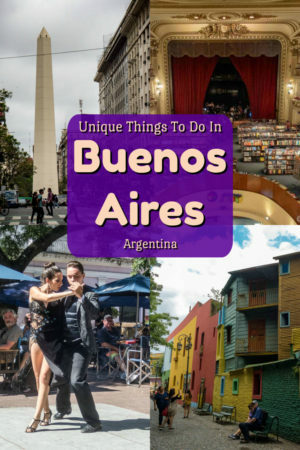 It looks like there is so much to do in Buenos Aires. I love finding unique things to do when visiting places. Lovely reading your nice bucket list of things to do in Buenos Aires. I would love to visit there soon. What a fantastic list of things to do! I’d love to go there some day. It would be fun to do these. Walking through La Boca sounds like it would be up my alley. I would love to go there one day. It looks like such a beautiful place to visit. Funny story about the building blocking the palace’s view. Hopefully all of the animals either wander or have new homes now. And glad I did not graduate in Argentina! Oh my, hubby and I could spend days in that book store. Wow. Impressive. I’ve never been to Argentina yet but i am sooo interested in visiting it, the country is gorgeous! I can’t wait to visit it soon. 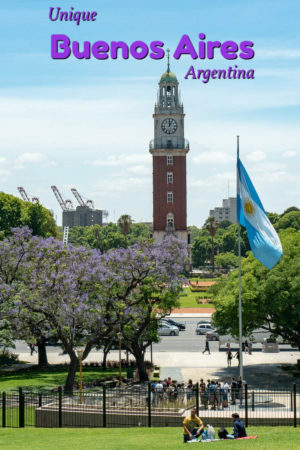 Loved this comprehensive guide of Buenos Aires! I’ve heard such good things about this city, and from your post, I can definitely understand why people love it so much.